Nazaré is a Portuguese coast town, located 130km away from the capital Lisbon and very famous place among surfers. The presence of a underwater canon, know as Nazaré canon, is the key factor for originating huge waves. On November 2011, the American surfer Garrett McNamara surfed a 24m (78ft) wave going straight away to Guinness World Record: Biggest wave surfed! Guinness World Records is currently awaiting further evidence in order to verify if Garrett has indeed beaten his previous benchmark. 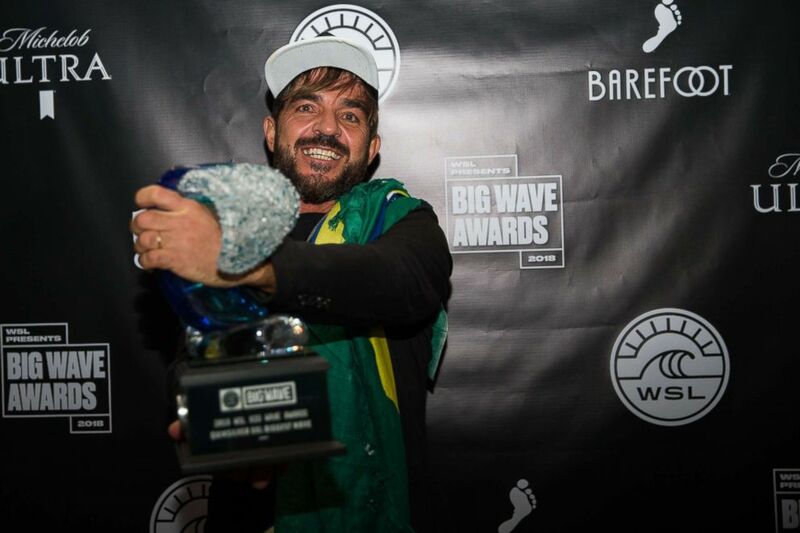 According to official Guinness World Records, the Brazilian Rodrigo Coxa set a new world record which is measured 24.38m (80 ft) making Coxa's the current title holder for the largest wave surfed.